In the wireless speed race, network latency has become an issue as users try to access more bandwidth-hungry content. 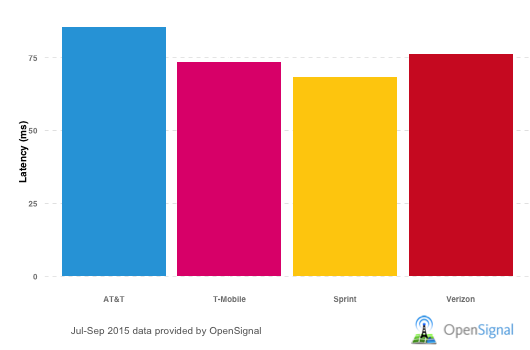 FierceWireless, through its partnership with Open Signal, is once again tracking network latency in its new report, 3G/4G wireless network latency: How did Verizon, AT&T, Sprint and T-Mobile compare in Q3 2015? AT&T saw a slight increase in latency speeds on its LTE network in the third quarter, up from the results in the second-quarter. Meanwhile, Sprint had the lowest LTE latency speeds. Check out FierceWireless‘ new report.